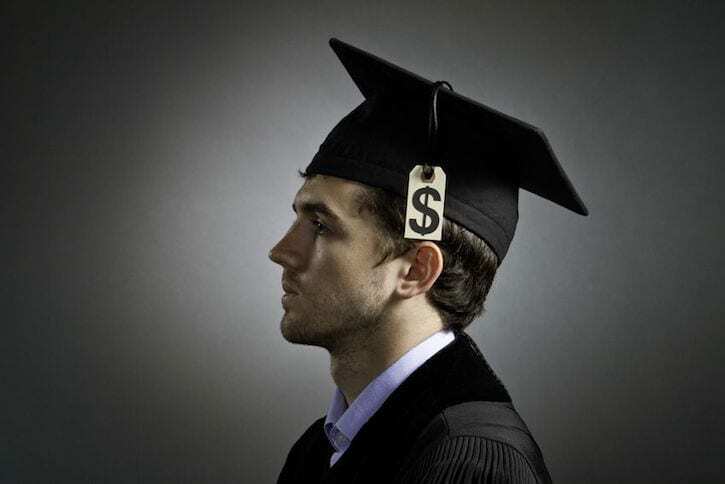 Any lender that specializes in chiropractic practice loans understands the fact that most chiropractors will have student debt. However, there are two key points to that very simple sounding statement. First, if you are looking to borrow money to buy a chiropractic practice, you need to understand that a critical piece of the approval process is that a lender is going to look at all debt — student loan, car loan, home loan, etc – in respect to cash flow. The lender will then add up all the payments needed to fulfill your monthly debt obligations and then they will determine if the chiropractor can afford to make the payments back to the lender. So, in other words, your student loans are only one piece of the puzzle. More importantly, the amount of OTHER debt that you have (and your history of timely payments) will factor into the equation as much or even more so than your student loans. This is because, again, every banker expects that you will have student loans that helped pave your way into the chiropractic profession. In general, this one phrase will separate the majority of the banks that will approve your loan from the ones who ultimately reject it. After all, your financial profile is the same. The price and profile of the business you are purchasing is the same. The big difference is the bank’s understanding of the chiropractic marketplace. What you will find is that banks who do not specialize in chiropractic practice acquisitions loans will generally require MORE money as a downpayment from you, MORE seller financing from the owner, approve smaller loan amounts and ultimately, make fewer loans to chiropractors in general. So, yes, the good news is that if you choose a bank experienced with chiropractic practice acquisition lending then you stand a much better chance at getting a loan. But there’s even more good news in store for those who are looking to purchase a chiropractic practice (now or soon). Back in January 2018, the lending rules put forth by the SBA changed in your favor and banks that offer SBA-backed loans now require as little as 5% down! That means, on a practice purchase of $200,000 the Buyer would need access to downpayment funds of only $10,000 to get into practice ownership. Now, certainly, there are other conditions that need to be present beyond the downpayment, but this is historically these are the best terms ever offered as an option for SBA lending. Perhaps as a reflection of the SBA changes, we are now seeing lenders offer ZERO DOWN loans for practice purchases with real estate. In other words, where you purchase both the business and the building. Again, not every bank will offer this option for every situation. But these possibilities offer you a tremendous opportunity to get in the owner’s seat and preserve cash flow! All things considered, this is the single best time in history for buyers to be able to purchase a chiropractic practice. I certainly can’t predict how long this scenario will last; but I can say, with confidence, that it has never been this good for buyers. While this is definitely a great time to buy, we have not entered into a period of mass “speculative” lending with an abundance of subprime loan offerings like we saw in real estate just prior to the economic recession a few years back. Past financial indiscretions can hurt a buyer’s chances act getting a loan. Specifically, chiropractors will find the biggest challenges to getting approved if they have a poor track record of repaying their debts. Yes, that means short sales or foreclosures can hurt your financing efforts. And past bankruptcies will severely limit the number of lenders, if any, who are willing to work with you (particularly if your bankruptcy is less than seven years old). Even your present financial situation can make things difficult if a lender sees multiple late payments or high credit card debts. 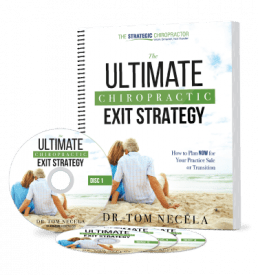 Apart from those situations that will make financing difficult, there is one final piece of good news that in your future if you are looking to purchase a chiropractic practice. Many lenders are now offering longer term payment plans such as 10- or 15-year fixed-payment plans with a few offering 20-year options. In addition to fixed loan payments, some lenders offer a tiered plan, meaning that the payments would increase over time as the practice grows. With these options, for example, the chiropractor would pay $0 for the first few months, then a “starter” type of payment for the next few months, a first year payment for the following 12 months, a slightly higher fixed payment for year two, and the final fixed payments for the remain­ing years on the loan. Obviously, the huge advantage to this progressive payment system is that it eases the burden on new buyers and allows you to pay less in the beginning as you get started and more later on, when you can more easily afford it. 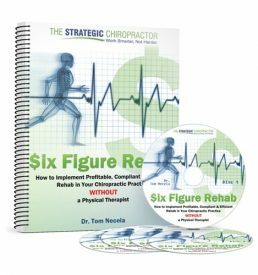 When you make the decision to purchase a practice, you’ll need to be aware that financing a practice is a little different than getting a mortgage to buy a house, so be prepared for a different sequence of events (see my article on Steps to Financing a Chiropractic Practice Purchase) and allow plenty of time for the process. Most banks can give you a conditional “pre-approval” on a loan within a couple of weeks and then it takes several more (typically 4-6 weeks) for the underwriting and funding process to be complete. In other words, don’t quit your associate job just yet because you found the practice you want to buy, as it will take a month or more for the sale to finalize – and being unemployed with no income can easily jeopardize your lending situation. In the meantime, if you are considering a practice purchase, the “timing” is right in terms of financing opportunities – now it’s up to you to move forward and take advantage of the fact! Need More Help on Deciding Whether to Buy, Build or Break Up? Consider our FREE webinar on how to make your next best move to purchase a chiropractic practice, start one from scratch or get a new associate job! Need to FIND a Practice to Buy (Or an Associate Job or Ownership Opportunity)? Our FREE Practice Match service will help you do exactly that! Just fill out the form, tell us your interests and let us find you a great fit!